just up the pike: montgomery county has changed. has doug duncan? montgomery county has changed. has doug duncan? Doug Duncan in 2006. Photo by Tancread on Flickr. 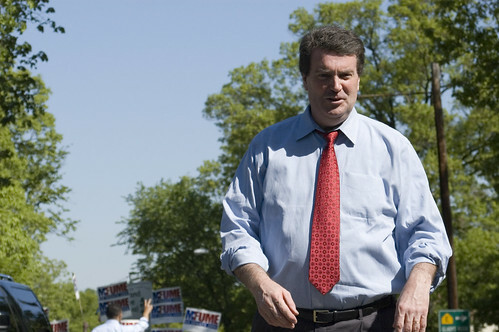 Montgomery County's feeling nostalgic for former county executive Doug Duncan, who announced earlier this week that he'll run for a fourth term in 2014. While he presided over 12 years of prosperity and growth, it's worth asking whether he's prepared to guide a county that looks quite different than it did just a few years ago. 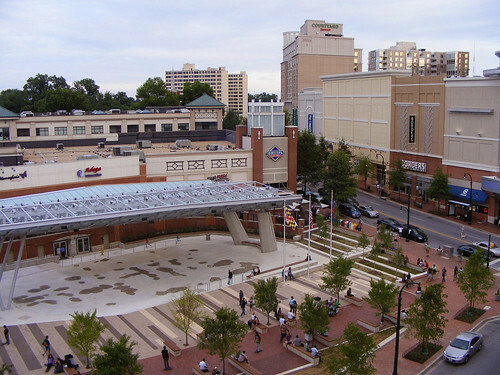 Duncan's long list of accomplishments has made him popular among many residents, who proposed naming the Silver Spring Civic Building for him. Yet political commentators, like Josh Kurtz of Center Maryland and David Moon of Maryland Juice, note that Duncan hasn't won a competitive race since he first took office in 1994 and hasn't been politically active since his aborted run for governor in 2006. More importantly is the possibility that Duncan is no longer in tune with what Montgomery voters want. Since 1994, the county has become more diverse, more urban and now faces greater social and economic issues. As a result, the traditional growth-vs-no growth debate that's driven Montgomery County politics is falling apart, presenting new challenges to Duncan or any of the other contenders for county executive. When Duncan took office, the county was still predominantly white and still had a reputation for being what former Councilmember Rose Crenca called the "perfect suburbia," save for the occasional scandal. During his tenure, the county's population grew larger and more affluent. Meanwhile, the county's budget nearly doubled as Duncan racked up a long list of accomplishments, including the revitalization of downtown Silver Spring. The main political rift in the county was between the business community, who naturally wanted more development and backed Duncan, and civic organizations like the Montgomery County Civic Federation, which sought less or no growth. 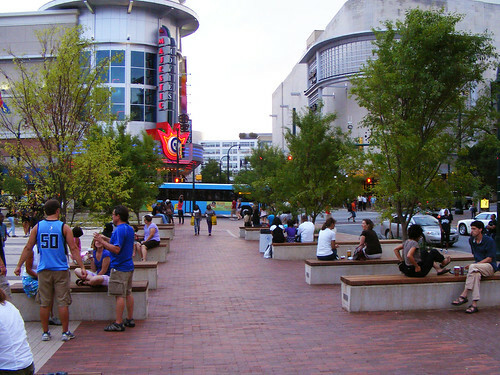 Duncan spearheaded the revitalization of downtown Silver Spring. Today, whites are a minority, with substantial immigrant enclaves in places like Germantown that were farmland a generation ago. The county is largely built out and quickly urbanizing. Rockville Pike is now known as much for authentic Chinese food and skyscrapers as it is for big-box stores. As this shift occurs, the old guard of anti-growth civic leaders are gradually being replaced by a new, diverse group of young adults and families, minorities and immigrants, that somewhat resembles the "coalition of the ascendant" that reelected President Obama. These groups are generally open to growth, especially if it provides much-needed jobs, affordable housing or other amenities. That's because despite being one of the nation's wealthiest counties, Montgomery County is beginning to struggle. It has created no net jobs in 10 years even as Greater Washington has added jobs, putting the county at risk of falling behind Fairfax County and a newly ascendant D.C. The county faces growing poverty and social issues, while dwindling tax revenues during the recession have resulted in an ongoing budget crisis. 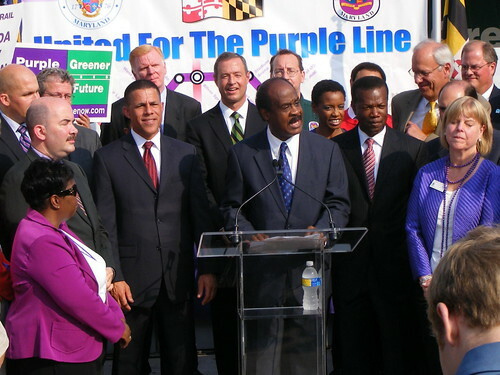 Ike Leggett speaks at a Purple Line rally in 2009. As a result, the pro-growth and no-growth coalitions are becoming more dynamic. In 1994, Duncan earned the support of Montgomery's business community by supporting the InterCounty Connector, which would support development on the fringes of the county, while opposing the Purple Line between Bethesda and Silver Spring, which he called "spending millions to go nowhere." He continued to fight the Purple Line as an administrator at the University of Maryland. But today, it enjoys strong support from nearly all of the county's elected officials and a cross-section of business, environmental and civic groups, who all agree that the project can support a new generation of infill development, reduce traffic and pollution, and revitalize older neighborhoods. Perhaps the biggest sign of how things have changed in recent years has been the tenure of County Executive Ike Leggett, who succeeded Duncan in 2006 and may run for a third term. Though Leggett ran on a slow-growth platform, he has tentatively embraced a more urban future for the county. Over the past 6 years, Leggett's administration has pushed an ambitious, if flawed plan for the redevelopment of downtown Wheaton, while his Smart Growth Initiative will relocate county facilities to make room for a new neighborhood at the Shady Grove Metro station. In an interview with Rockville Patch, he stressed the need for development that can grow the county's tax base. As MoCo becomes more diverse and more urban, there are new challenges and opportunities for elected officials. At the same time, Leggett's administration has often held the county back, suggesting that an old-school Montgomery politician can only bend so far. He tried to strip funding for the Purple Line from this year's budget and spent most of 2011 promoting an controversial and ineffective youth curfew. Though he supports a countywide bus rapid transit network proposed by Councilmember Marc Elrich, Leggett and his Department of Transportation have been reluctant to do anything that would take road space away from drivers. Shortly after Duncan was first elected, the Post gushed that "Montgomery County finally has a chief executive who looks as prosperous as Montgomery County." While the county may be ready to prosper again, Duncan's past record doesn't really fit where the county's going. It remains to be seen whether he, or any of the other candidates for county executive, will be able to transcend the old debates over growth and move the county forward.